If any of the above change, Unity re-imports the Asset. Otherwise, Unity downloads it from the Cache Server. When you use a Cache Server, you can even share Asset imports across multiple projects (that is, the work of importing is done on one computer and the results are shared with others). Note: Once the Cache Server is set up and enabled, this process is completely automatic, so there are no additional workflow requirements. It reduces the time it takes to import projects without further intervention from the user. Open the Unity Preferences window (from the main menu: Unity > Preferences on MacOS or Edit > Preferences on Windows and Linux). 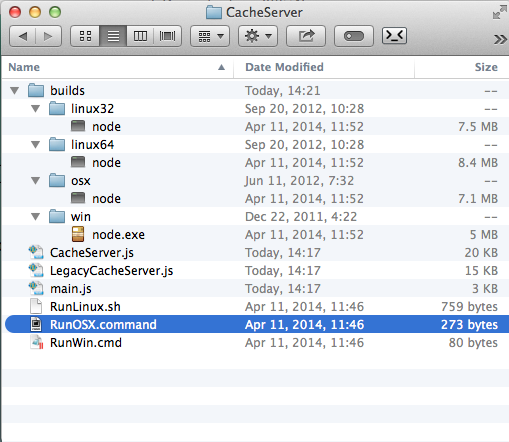 Select Cache Server from the category list on the left. The Cache Server settings appear in the details pane on the right. Choose Remote or Local from the Cache Server Mode drop-down box. The properties unique to the selected mode appear. Set the Cache Server preferences for the mode you selected. Tip: It is better to host the Cache Server on a separate computer if possible because of hard drive size limitations. Administrators need to set up the Cache Server computer that hosts the cached Assets. Open Unity’s Download Archive page. Locate the Unity version you are using and click the Downloads button for your target server’s operating system. Click the Cache Server link to start the download. Important: The Cache Server needs to be on a reliable computer with very large storage (much larger than the size of the project itself, as there will be multiple versions of imported resources stored). If the hard disk becomes full the Cache Server could perform slowly. Modifying Materials that already exist might cause problems. When using the Cache Server, Unity validates that the references to Materials are maintained, but because no postprocessing calls are invoked, the contents of the Material cannot be changed when a model is imported through the Cache Server. Because of this, you might get different results when importing with and without the Cache Server. Don’t modify materials that already exist on disk from an Asset postprocessor because if you download an fbx file through the cache server, then there is no import process running for it. So if you rely on resetting the generated materials to some generated defaults every time the model importer runs, then this Asset postprocessor will not be run when importing a cached fbx file. There are a few kinds of Asset data which the server doesn’t cache. There isn’t really anything to be gained by caching script files, so the server ignores them. Also, native files used by 3D modeling software (Autodesk® Maya®, Autodesk® 3ds Max®, etc) are converted to FBX using the application itself. The Asset server does not cache the native file nor the intermediate FBX file generated in the import process. However, it is possible to benefit from the server, by exporting files as FBX from the modeling software and then adding those to the Unity project.